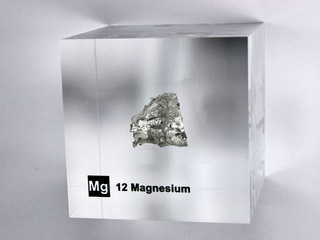 Magnesium was recognized in 1755 by Joseph Black in Edinburgh, Scotland, and isolated by Sir Humphrey Davy in 1808 in London. 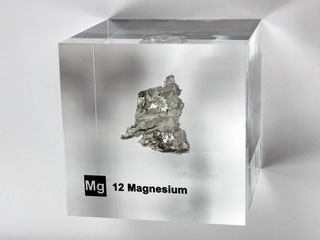 Magnesium is a brilliant white metal, which is relatively soft. 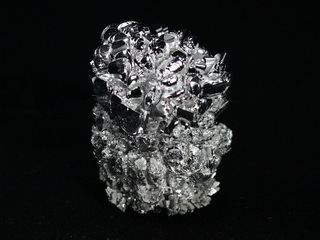 It is one of the more abundant elements, there being 23000 ppm in the earth's crust. 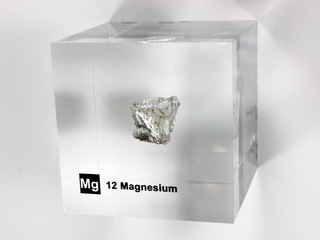 As a powder, magnesium is extremely reactive, but as a solid it oxidises slowly in air and reacts slowly in water. 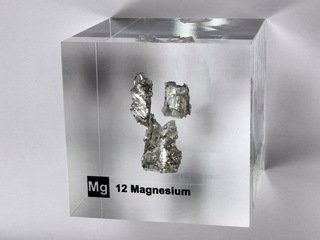 It does not occur naturally, but is found in combination with other elements in minerals such as magnesite (MgCO3, primarily) and dolomite (the double carbonate of magnesium and calcium). 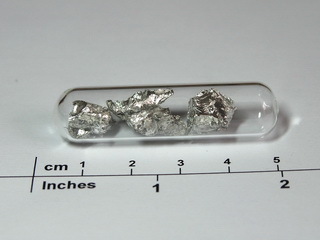 As with other elements in groups 1 and 2 of the periodic table, it can be produced by electrolysis of the molten halide. 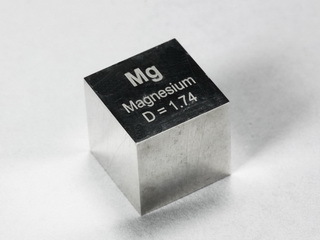 Applications of magnesium include its use as a deoxidiser for copper, brass and nickel alloys and it is also added to several aluminum base alloys. 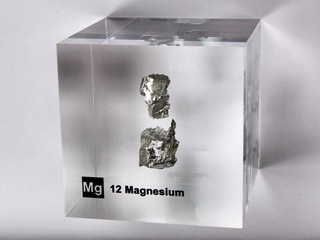 It is the basis of strong, light alloys used in the aircraft and automobile industries (e.g. in engine assemblies). 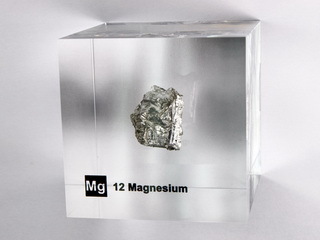 Alloys with zirconium and thorium have also been investigated for their use in aircraft manufacture. 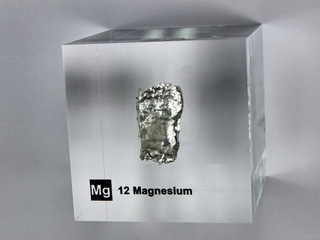 Pure magnesium can also be used as a sacrificial electrode to protect other metals. Sensational Magnesium Druse with dendritic crystals!